Flax straw, ⌀ 95 cm – axis 51,4 cm. No Living Thing is the name given to the military operation in which, Freetown, the capital of Sierra Leone was sacked during the civil war that traumatized the country for control of diamond fields. Composed exclusively of flax straw in the shape of a diamond cut, this volume refers to two opposite materials which are subject to the same violent exploitation. If Fundamentalism is demonstrating the blinding dimension of the art object, No Living Thing continues this reflection on the contemplative occult, and takes here the exploitation. This short term economy, used the warlord’s machete as the insidious diplomacy of institutional documents. 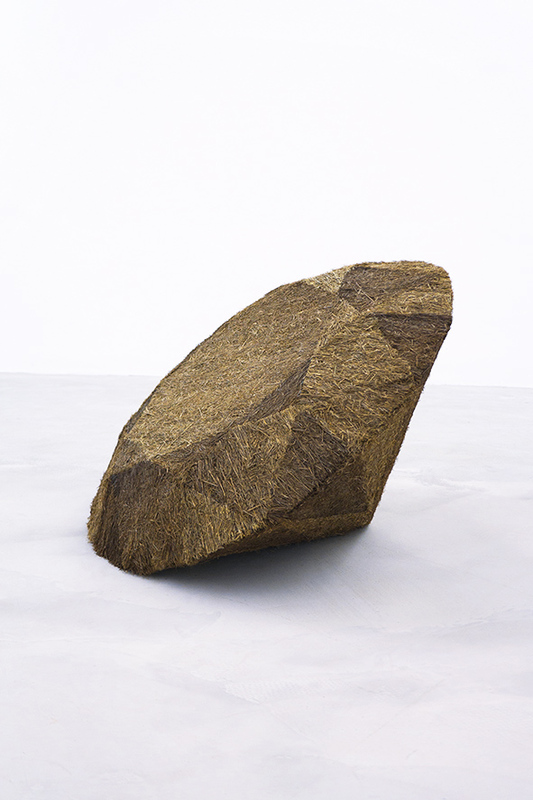 The straw used for this work is produced by a farmer as receivership for goods seized.